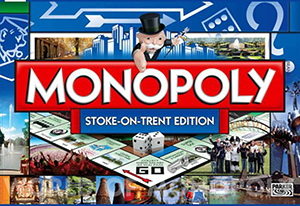 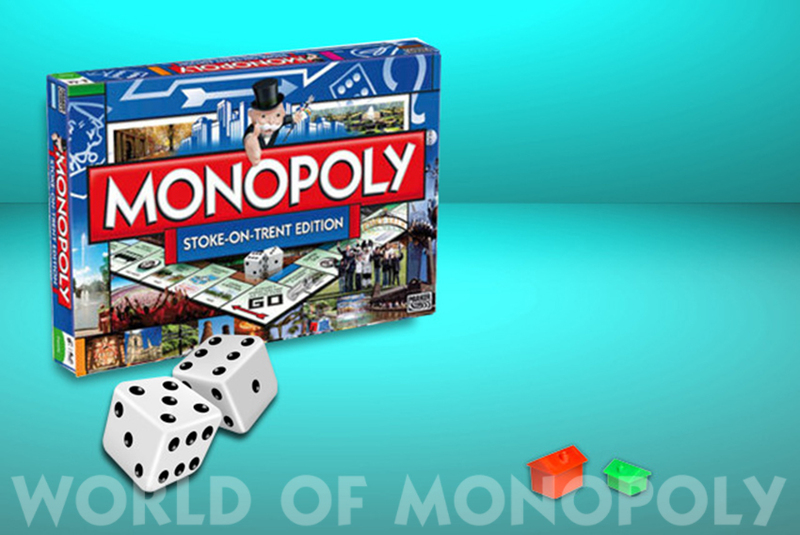 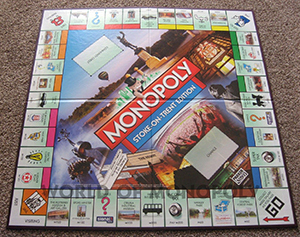 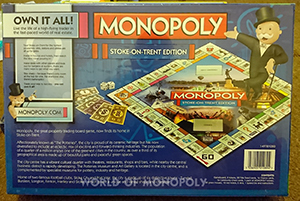 Through most of 2008, the public of Stoke on Trent were asked by the owners of the game, "Winning Moves", which famous sites across the city they would like to see on a new, Potteries version of Monopoly. 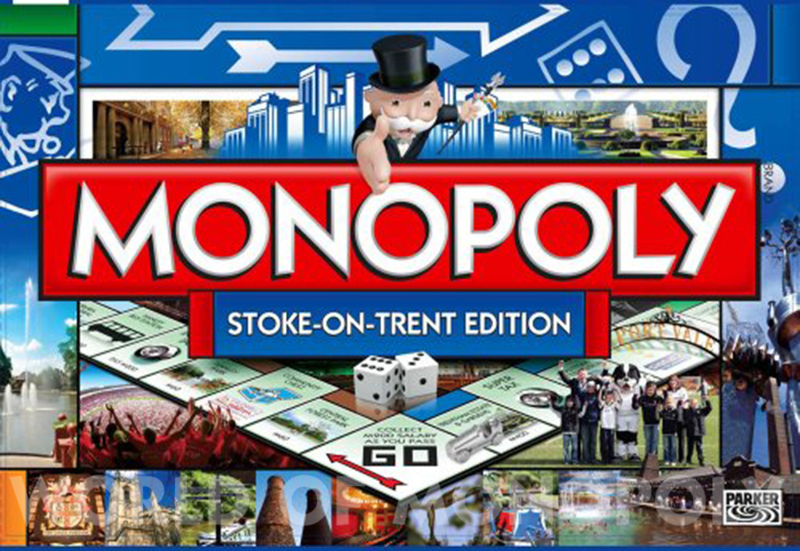 Of the city's famous Victorian town halls, the public voted for Burslem and Stoke (the King's Hall). 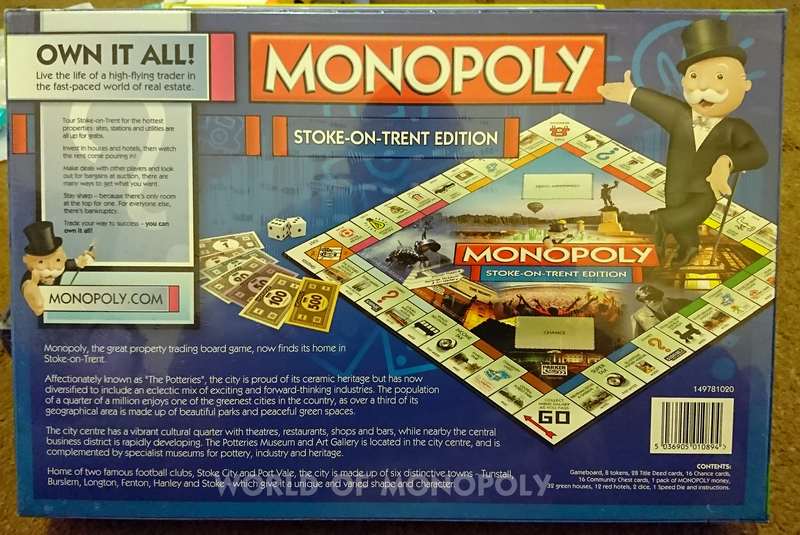 Of the city's museums, The City Museum, the Gladstone and the Etruria Industrial Museum made the final cut. 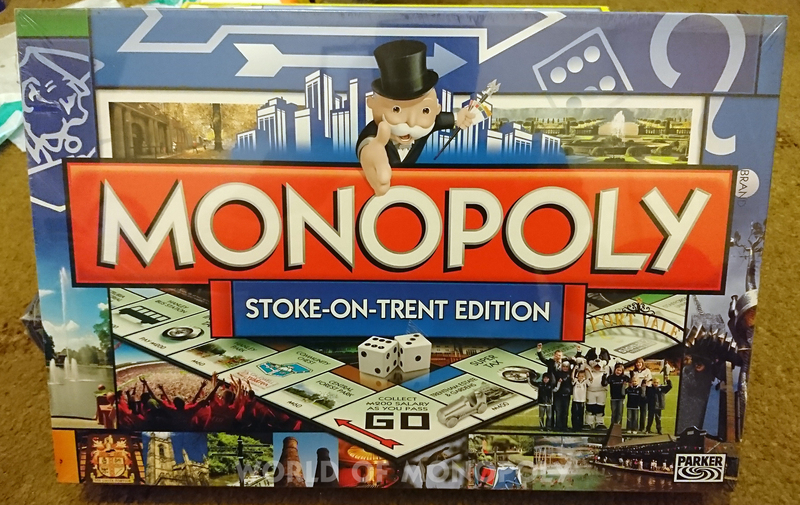 From its sporting heritage, Stoke City's Britannia Stadium, and Port Vale's Vale Park made it to the board – as well as Loomer Road Stadium (home of Stoke Speedway), even though that is officially in Newcastle under Lyme! 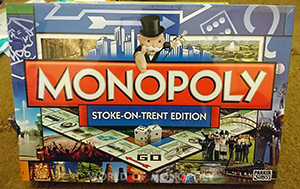 Waterways enthusiasts will also be pleased by the fact that the canal history of the area is not forgotten, with the Caldon and the Trent & Mersey Canals represented. 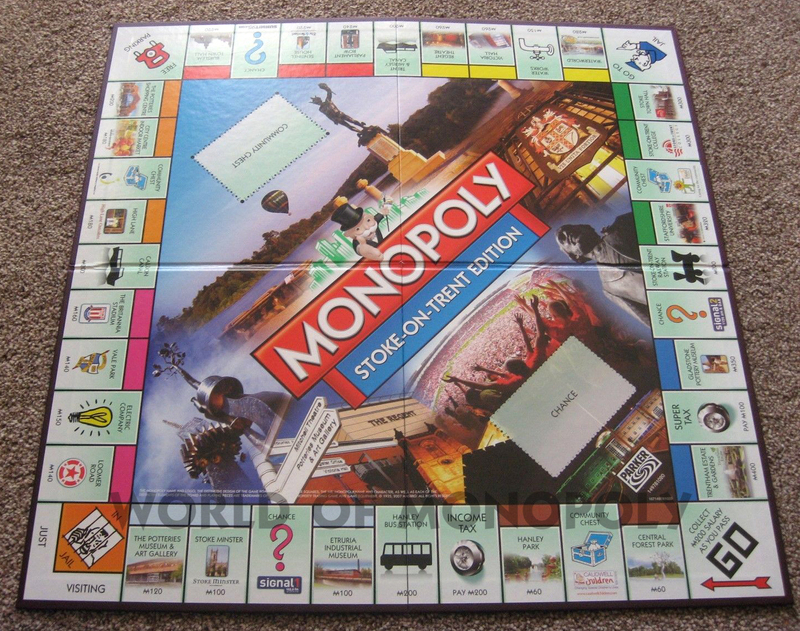 However, only one church is included, and none of the great Pottery works.